Preparing your child (and yourself) for a Dermatologist Appointment – Live In Our Skinz! The number of Caucasian children 18 and under (as young as 2-years-old) who develop Melanoma is on the rise. From 1973-2009 more than 1200 children were diagnosed with Melanoma. Diagnoses like these have shown an increase of 2% a year. Melanoma is an the most aggressive form of skin cancer. If caught early there is a good chance of survival, but if left to spread it can be deadly. What could cause childhood Melanoma? Sometimes children can develop Melanoma or skin cancer because they exhibit some of the high risk factors; a large number of moles, family history, fair-skinned, and blue eyed. As with most illnesses sometimes there is no reason at all. No matter the cause, early detection is important. 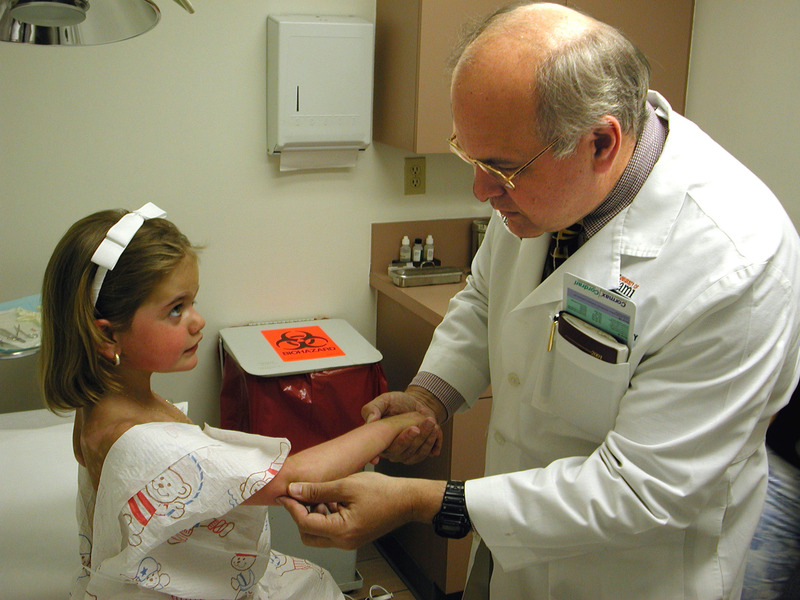 Children (as well as adults) should have a yearly Dermatologist appointment. People with a family history of Melanoma and atypical moles should be examined every 3 to 6 months. Children in these families should have their first exam by the age of 10. Treat a Dermatologist appointment like a yearly Pediatrician wellness check-up. Talk with your child about who a Dermatologist is; let them know that a Dermatologist is a doctor who knows a lot about skin and how to keep our skin healthy. If you don’t have a Dermatologist the American Academy of Dermatology provides a quick and easy Derm Finder. During a skin cancer checkup or “screening,” your doctor will probably discuss medical history and inspect your child’s skin from head to toe-even areas that don’t get any sun. If your doctor performs only a waist-up exam, inform him/her that you would like a complete skin exam. Through out this whole process you (as a parent) have the option to be present during the appointment, ask questions and to voice your concern. Studies have shown that doctor’s instructions may help young people understand that sun exposure and tanning harms the skin. The message of sun safe habits should begin early and the message should be frequent. This entry was posted in Prevention and tagged american academy of dermatology, cancer, dermatology, melanoma, skin cancer, sunburn, tanning bed. Bookmark the permalink. ← No better way to play than with UV Skinz!